It was tiny, but I could tell it wasn’t a Bluegill because I’d caught half a dozen of them before this little Warmouth bit. I grabbed a nearby shopping bag and used it to create the contrast necessary for a later ID. Location: Cosca Lake, Washington, D.C.
White Catfish checked off, I decided to fish the tiny feeder stream. It was small and crystal-clear which made sneaking up on the spooky sunfish within a challenge. My go-to Bergie Worm Jr. (now discontinued) tipped with a tiny piece of worm was the ticket, and I landed a number of respectable Bluegill before something smaller darted out from the undercut bank and hit my bait. I missed the first time, and spent the next few minutes trying to get the little guy to play. This was years before I’d taken up true microfishing, and I desperately wish I’d been up to speed on New Half Moon and other Tanago hooks back them. Using my fingers, I pinched half of the jig’s rubber body off, leaving maybe a quarter-inch of rubber and the tiny piece of worm on the 1/64th-ounce jighead. It worked, and I pulled up a tiny, flopping sunfish unlike any I’d ever caught. Though there are dozens of species in the Centrarchidae family, I quickly narrowed it down to a few: Warmouth, Rock Bass, and Redear Sunfish. I’d never caught any of these three fish, but all three were supposed to exist in the area. The pale complexion made the ID tough at first, but eventually I figured it out. I’d just caught my first Warmouth. Strangely enough, it would be the only one I captured that day, despite hauling in more than two dozen sunfish. All the rest were Bluegill with one being an obvious hybrid, but one I couldn’t identify as it was different from the “Hybrid Sunfish” (Bluegill x Green Sunfish) I’d caught so often back home. Still, it was another new species. I figured the trend would continue, but apart from some Largemouth Bass, this lake had given up everything it had to offer, and I left. 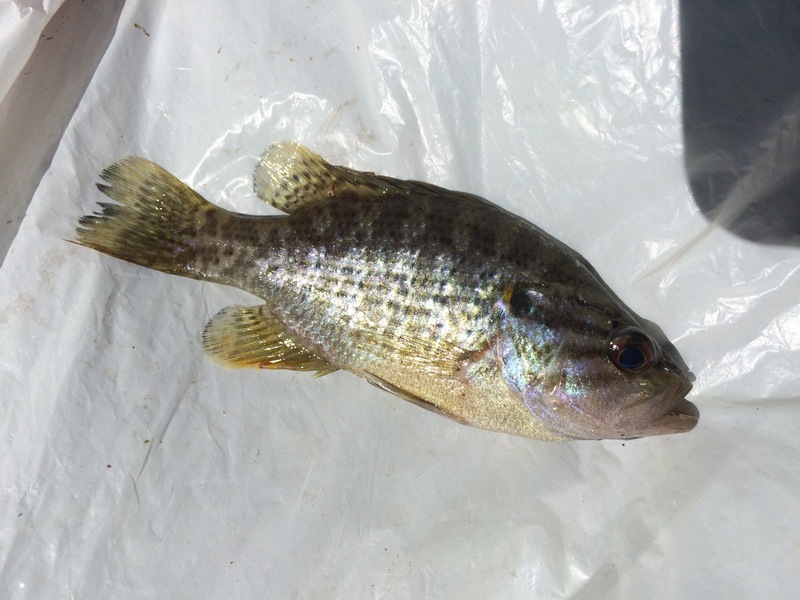 Read the next entry in #SpeciesQuest here: Species #68 — White Perch.